Turquoise color associates with air and sea water in our subconscious and brings freshness, spaciousness and depth feeling to your home. Psychologically sky blue color tone symbolizes joyfulness. Such tone helps to escape from everyday worries. 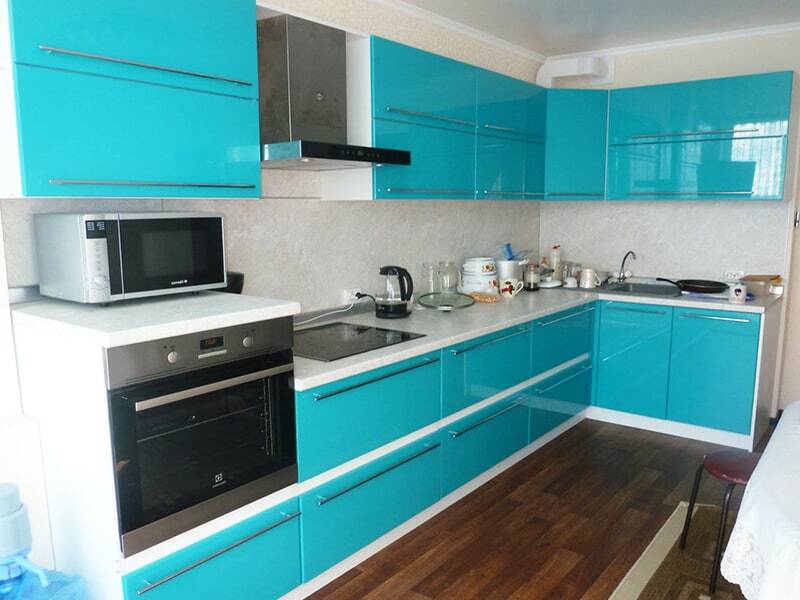 Moreover, Turquoise kitchen is great alternative replaces diet reducing appetite. 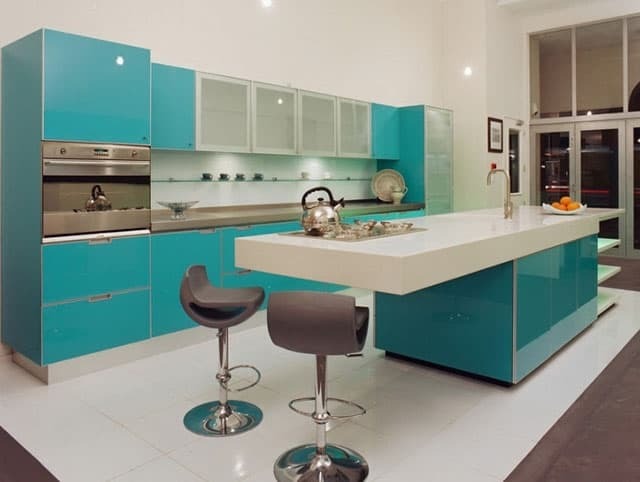 Turquoise kitchen ideas give actual options easy realized in different styles. Any materials would be suitable, whether glass, wood, plastic, ceramic and even metal. 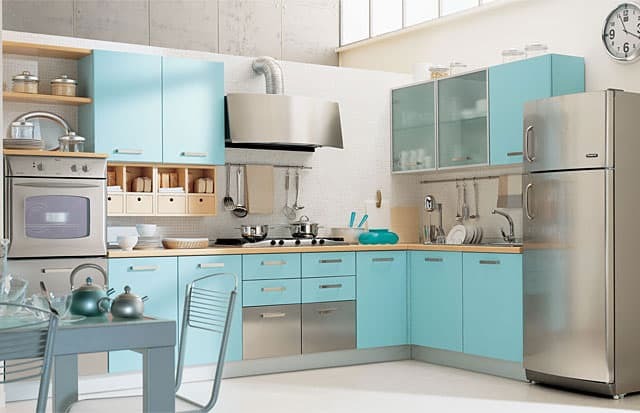 Kitchen decor including turquoise color shades looks great for Modern, Country, Eco or Provence styles. 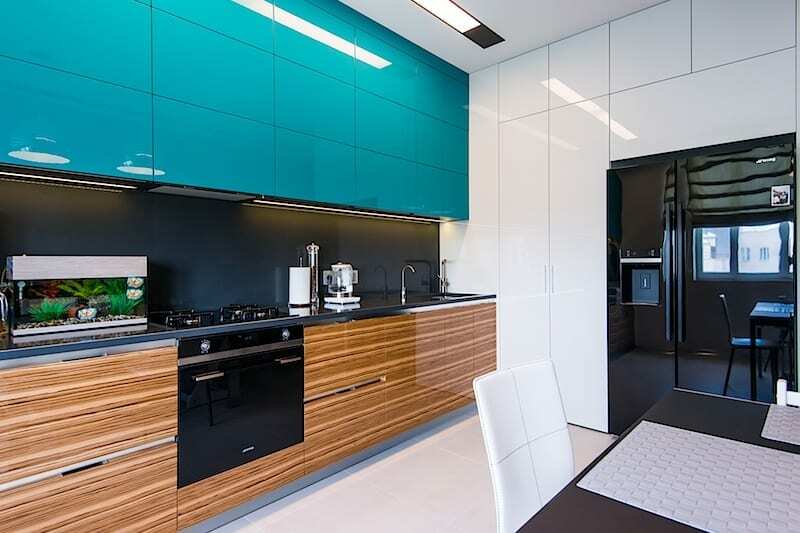 Glossy saturated aquamarine surfaces would make kitchen more spacious and vivid. Delicate pastel turquoise tones fit to tender Provencal interior. 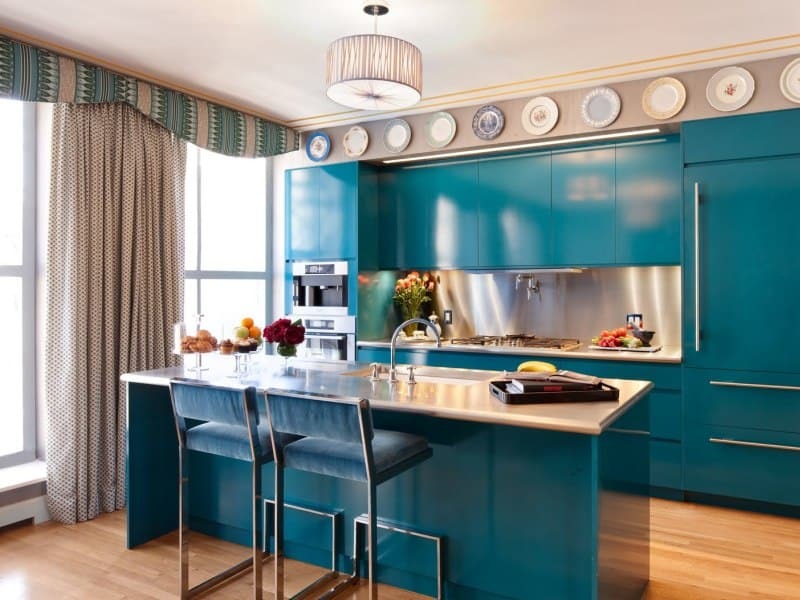 Kitchen design ideas with turquoise are really great! Its’ advantage is in easy transformation of other colors functions and making different ensembles with cold shades and warm tones. Turquoise makes neutral, pastel, brown tones more vivid and vernal. 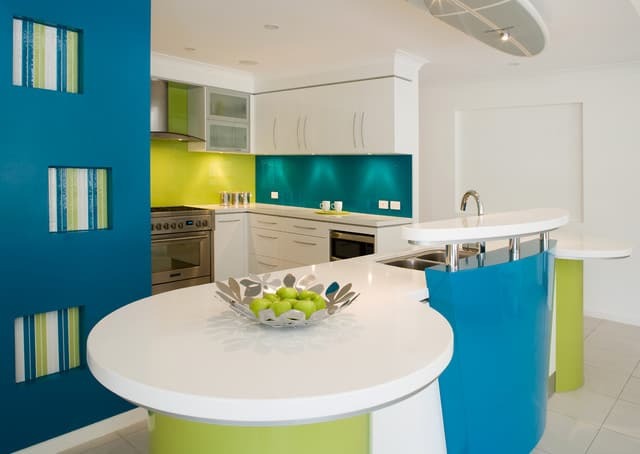 Combination of turquoise color with saturated blue shades fits to nautical decor. Turquoise with yellow or green colors looks very stylish and considered as fashionable nowadays. 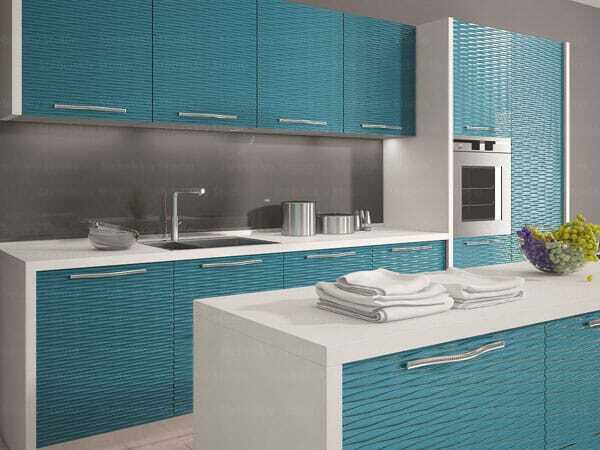 Use neutral colored wallpapers in turquoise kitchen. 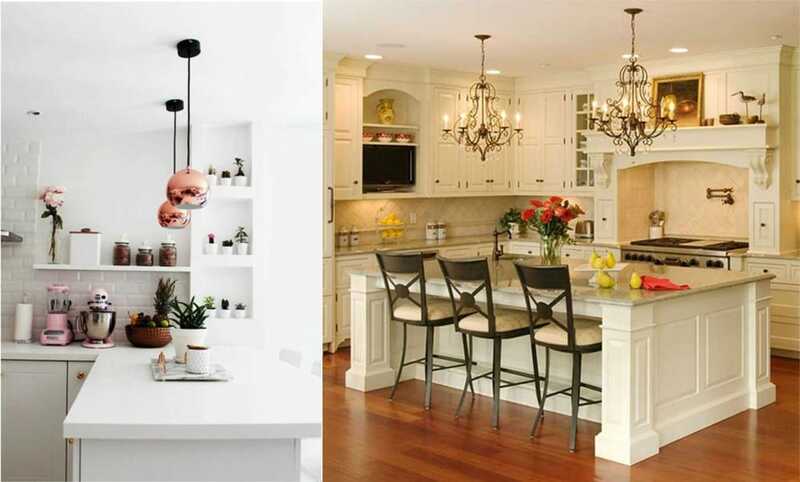 White, delicate cream and sand colors fit for modern kitchen design. 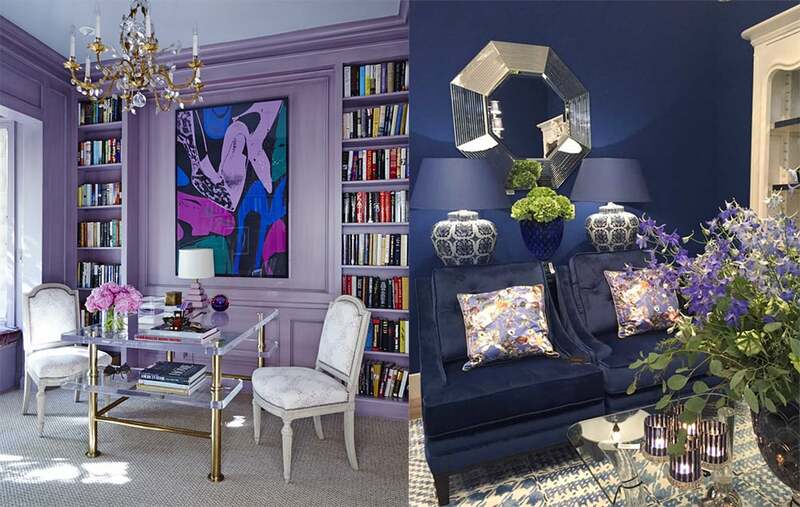 Use same color scheme for flooring, accessories and curtains. 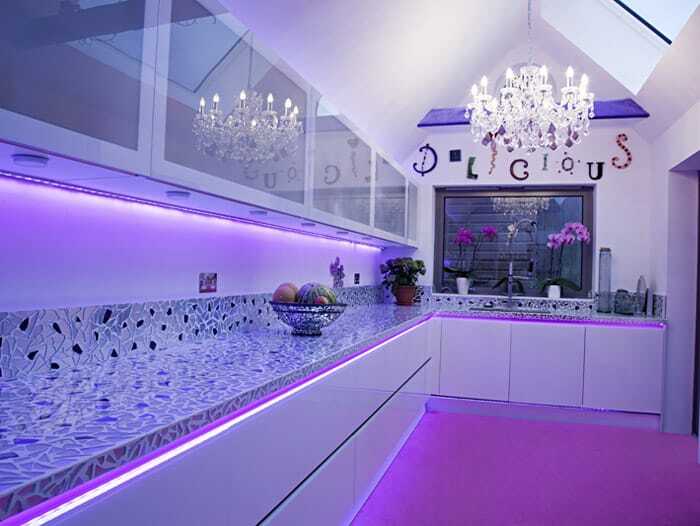 Choose different patterns if kitchen decor general style permits it. For example, combine pastel turquoise furniture with floral patterned wallpapers or curtains. This is simple tip helps for creating beautiful Provencal kitchen. 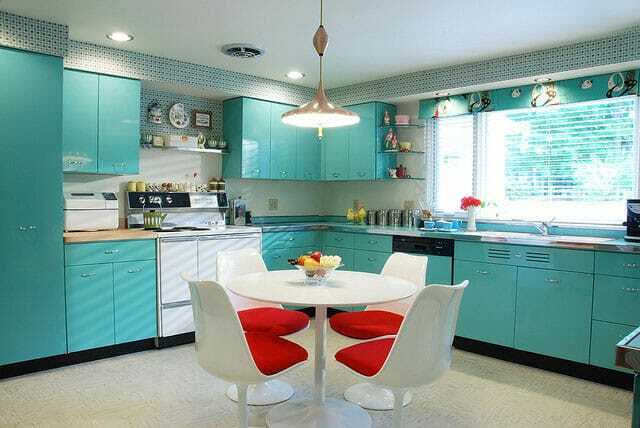 Don’t overdose turquoise spots in kitchen decor! It considered as cold color. 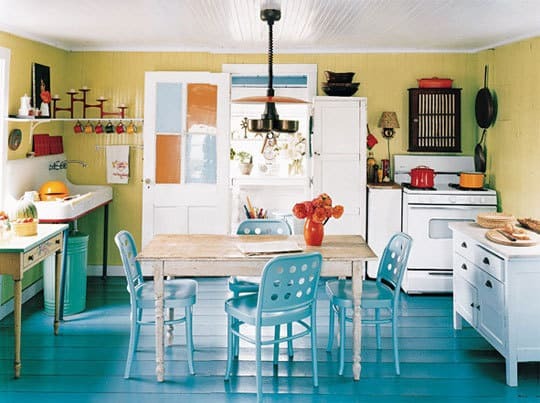 Kitchen should give warmth, so, paint just one wall brightly or add turquoise furniture and make sunny shades on background. 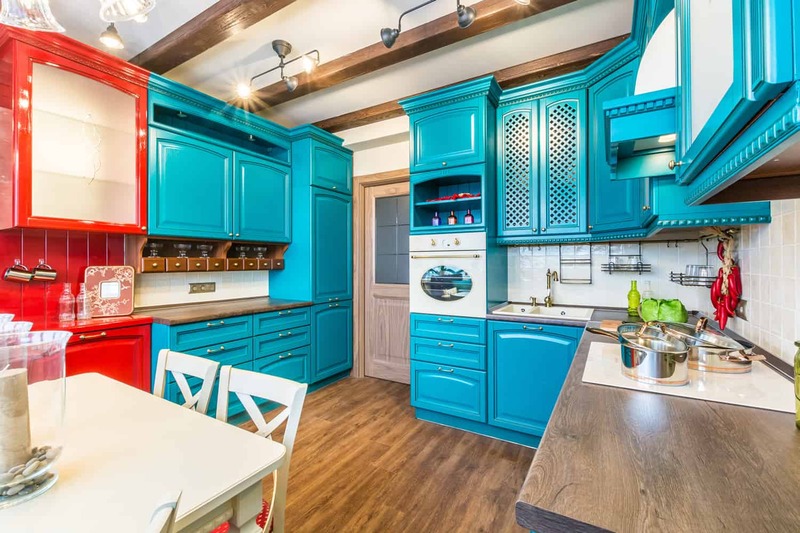 We have a simple solution for “boring” quiet colored kitchen. Just get turquoise kitchenware! It looks amazingly stylish! 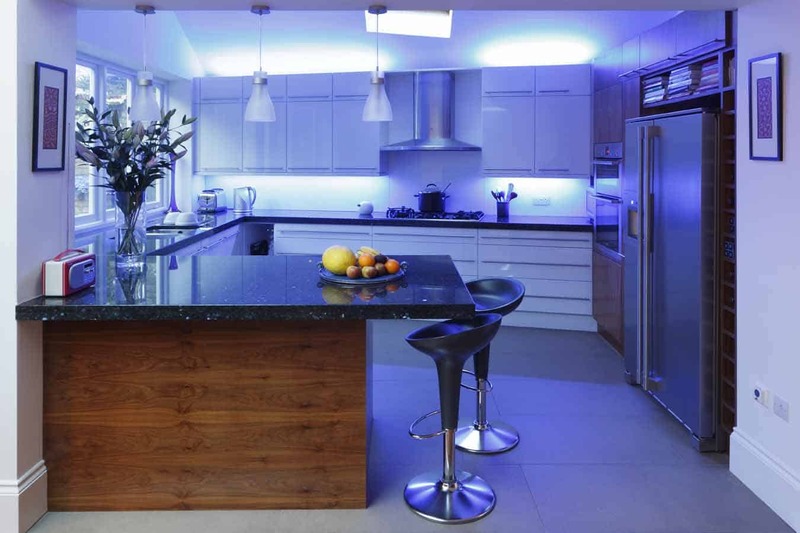 Use snow-white and aquamarine with multiple light sources in your kitchen decor. 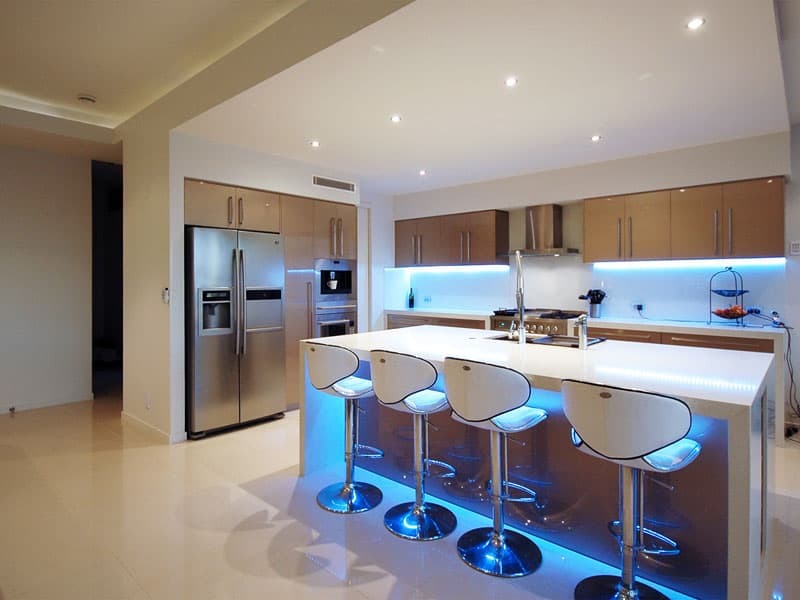 Colored lights look stylish in modern kitchen design! 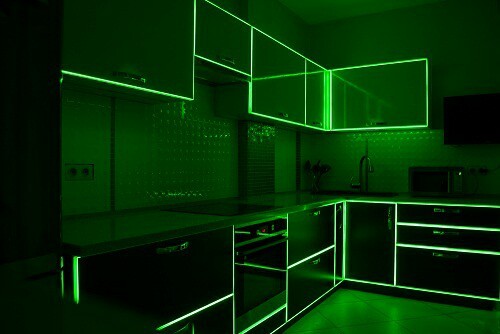 Do you love unusual modern kitchen decor? 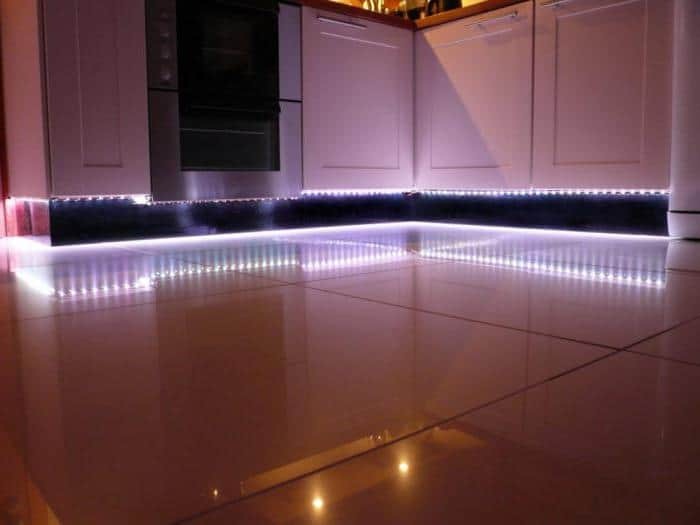 Add LED strip lights! 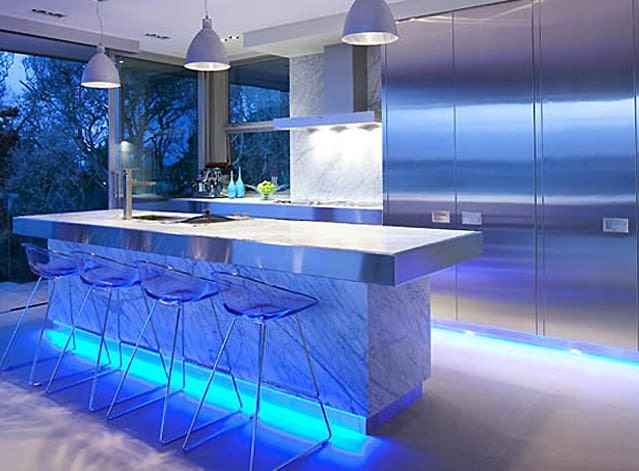 Enlight edges in High-Tech kitchen form improvised “aurora borealis” or simple figures and words in Scandinavian kitchen interior. 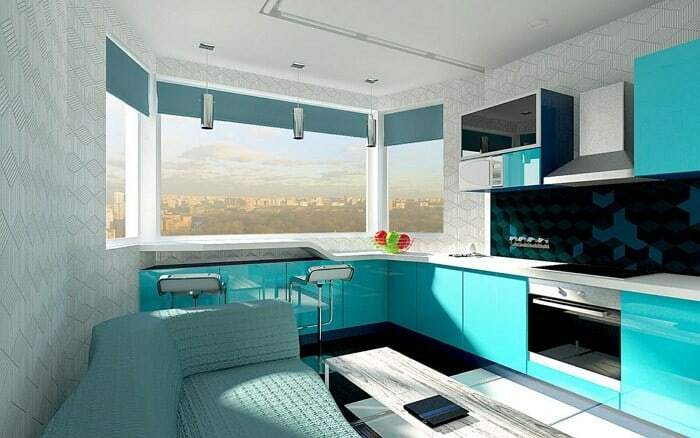 Hopefully, our article «Kitchen design ideas: Turquoise kitchen» helped you with creating modern kitchen design remaining of sea waves, fresh air with spring nature beauty.